William Arthur Blog: Tying the Knot! 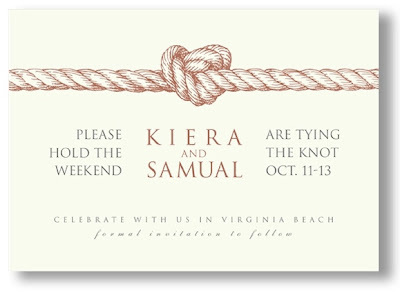 We think our Vera Wang Knot Save the Date is perfect for any style of wedding. There are so many different ways to tie-the-knot, and we celebrate them all. From formal to informal, each wedding day belongs to the happy couple setting out on a lifetime of dreams! The Vera Wang Love Knot is one of the best motifs and design elements for weddings, in my opinion!